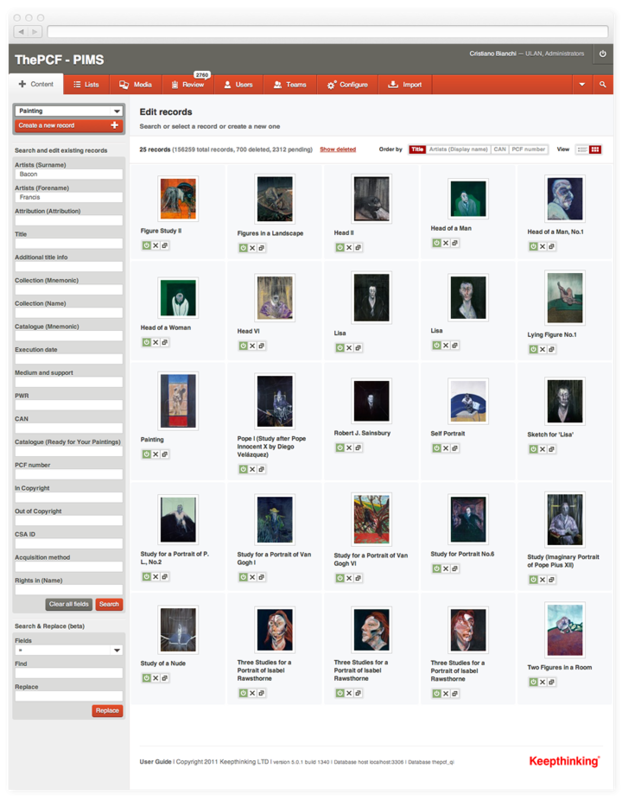 The new version of our Qi Content and Collection Management Framework (version 5) was initially developed to let the Public Catalogue Foundation manage the collection of over 200,000 paintings, 50,000 artists and 3,000 collections that used to publish the PCF catalogues as well as to drive the Your Paintings website at the BBC. Qi is generally available to license and is already used by the British Council, the Wedgwood Museum and the William Morris gallery among many others. For more information please visit the section about Qi. Qi offers an interface which is fast, powerful and flexible - while at the same time extremely easy to use. 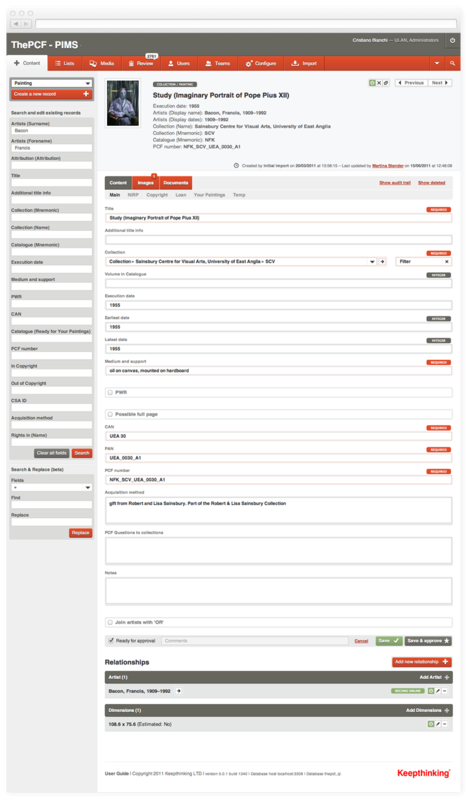 Every aspect of the database and its interface are customisable and it only requires a web browser and internet connection. 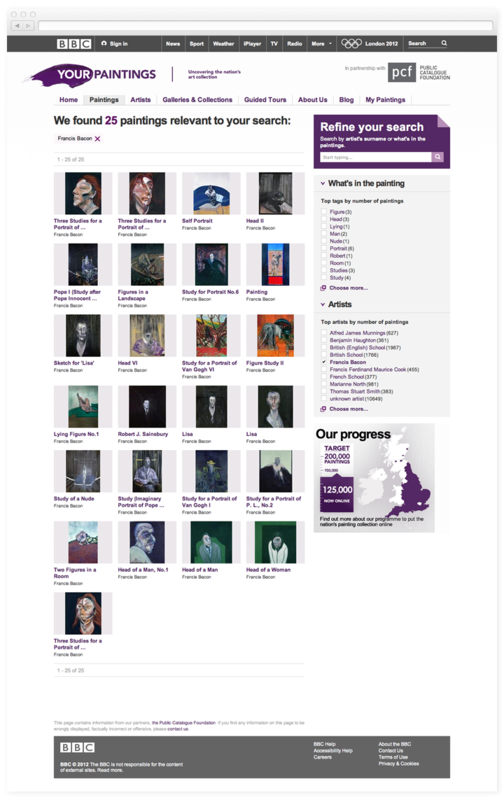 Using Qi, the PCF increased the number of paintings and images on the database from 75,000 in June 2011 to over 160,000 in March 2012. Qi makes it extremely fast and efficient to manage any type of collection. 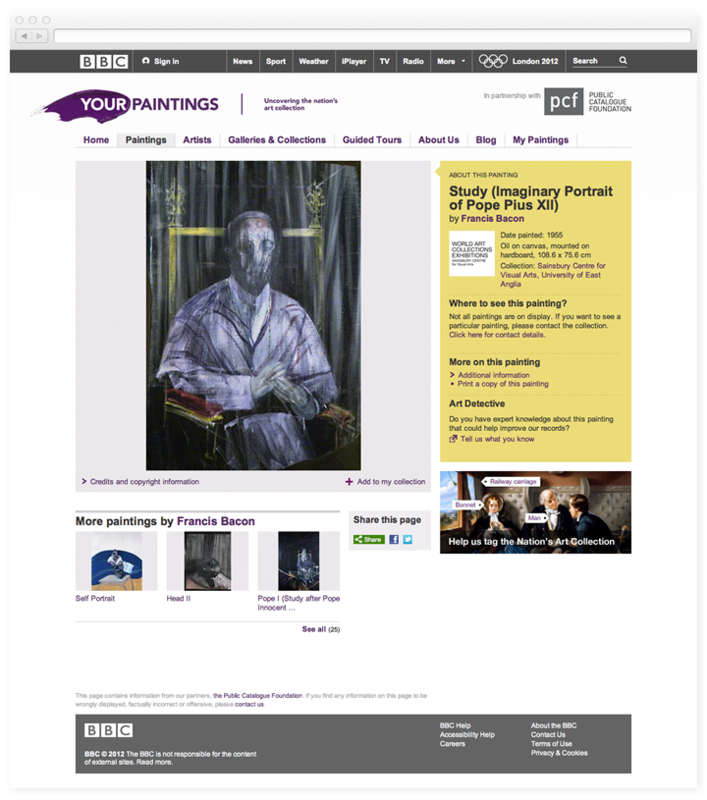 Data and images in Qi are transferred to the BBC for Your Paintings using a simple, RESTful API, which is included with the software. Invisible watermarks are embedded into images before they are transferred, as part of the same process. The API offers complete control on the type of data to be exported, allowing the BBC to build any type of search facility.